Our company strives on utilizing the latest technologies in everything we do from customer service to fabricating restorations. We’ve implemented a digital workflow that allows us to be responsive to our customers and fabricate your cases with consistency and accuracy. Our goal is to reduce costs by providing model-free restorations. Request model-free Full Solid Zirconia & save $5! All other restorations (PFM, Emax, Layered Zirconia) require models. 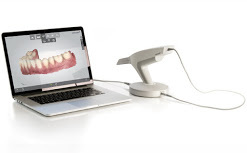 Intraoral Scanners have come a long way to become the “must have” technology for any dentist that wants accurate impressions and better customer experience. The accuracy of intraoral scanners will reduce your remake percentage, increase efficiency, and reduce costs. We recommend that you look into the different intraoral scanners available so you can play a big role in our digital workflow. We are connected to 3shape Trios digital workflow and can receive your scans at a push of a button. 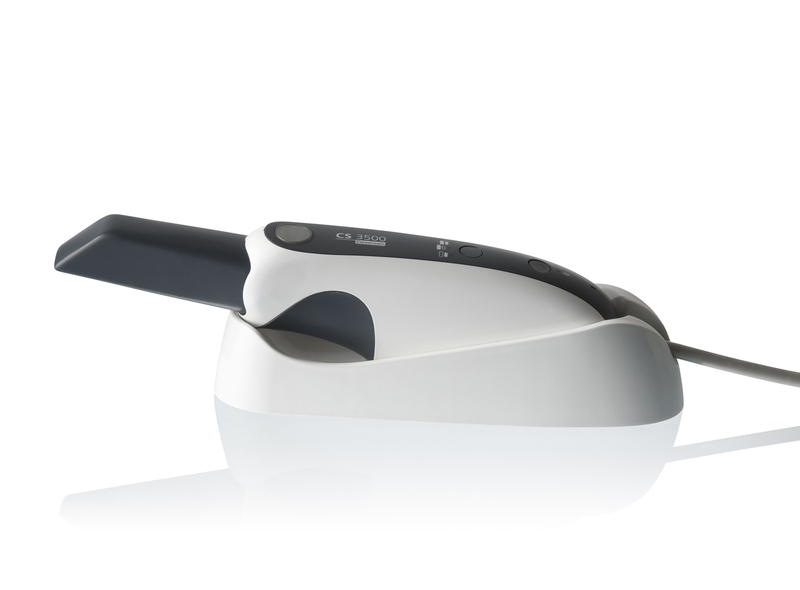 Dentists use this intraoral scanner solution today due to it’s ease of use, features, and powder-free scanning. This scanner features real color scans, shade measurement, HD photos, and enhanced details around the margin line. Select Arklign while filling out your Rx. We use the 3shape Scanner to create a 3D digital file of the models poured up from impressions. We then analyze the digital model and use the CAD software to mark margins and measure clearances. From our measurements, one of our experienced technicians design the most accurate restoration possible. This system is used to design our framework copings, crowns, bridges, and custom implant abutments. After the restoration is designed in the 3shape CAD software, the digital file is sent to our 5-axis milling machine. The restoration is milled out with high precision and accuracy. We then post process the restoration in our ovens and finish it with one of our highly skilled technicians. Need Help Deciding on which Intraoral Scanner?